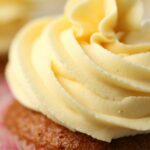 This vegan buttercream frosting is so creamy and silky you will fall completely in love with it! 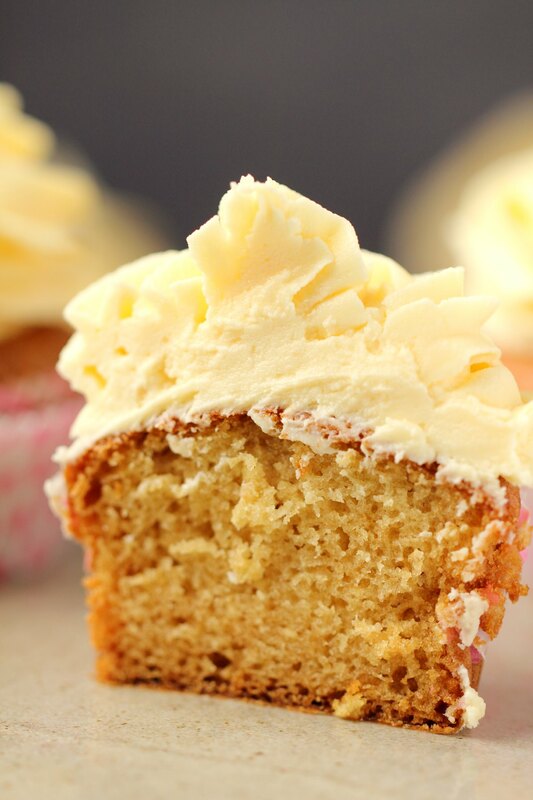 It works wonderfully spread onto cakes or piped onto cupcakes. It would also be wonderful spread onto cookies. If you’re looking for a frosting for some vegan sugar cookies, this would work great! 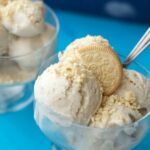 It’s a simple 4-ingredient recipe that is totally versatile and comes out beautifully every time. 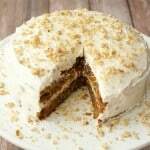 When testing this recipe I tried it out on our vegan vanilla cake and that is the cake that you see featured below. 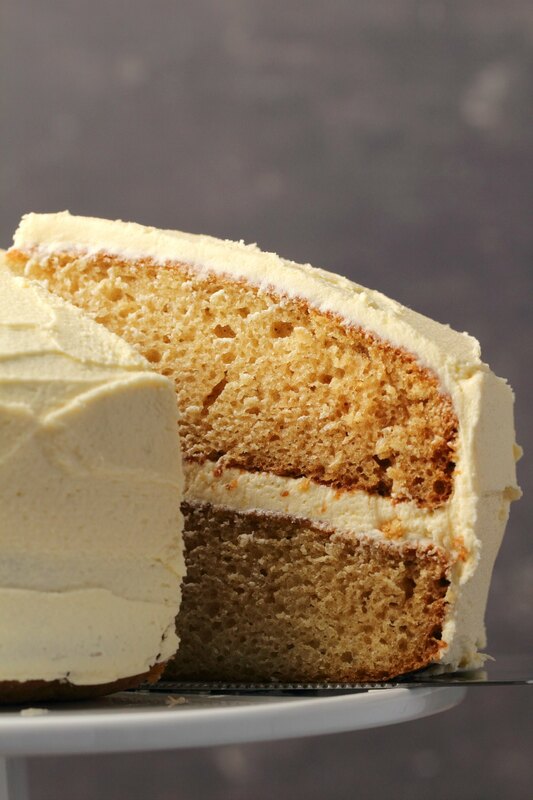 I doubled our vanilla cake recipe to make it a 9-inch beauty and this frosting was the perfect amount to spread onto a 9-inch cake. As you can see from the photos below, I probably went a little heavy with the frosting in the middle of the cake, it’s a little thicker in the middle than it is on top, whoops! But it’s definitely enough frosting for a 9-inch cake and if you want to use it for an 8-inch cake it will be great too. You’ll just have it on a little thicker, which is never a problem in my view. The cupcakes featured in these photos are our vegan vanilla cupcakes and piped on as you see in these photos, this was the perfect amount of frosting to frost 12 cupcakes. 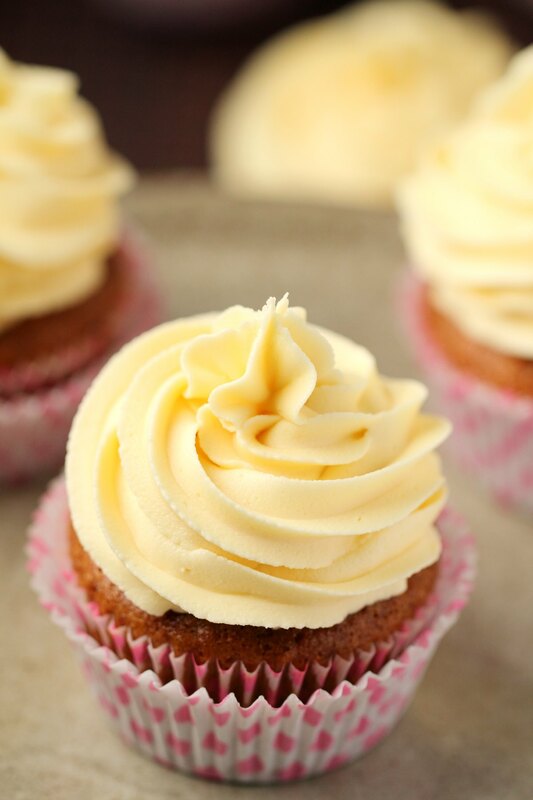 As you can see it’s a lot of frosting that I piped on though, if you piped on less, or if you spread it instead of piping it, you could frost a lot more cupcakes! Add powdered sugar, vegan butter, vanilla extract and a little salt to a stand mixer. 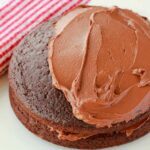 Starting at slow speed, gradually increase speed until the frosting is thick and smooth with a silky spreadable texture. If your mixer has a fairly small bowl (like mine) then hold a tea towel or paper towel over it (carefully, don’t let it get caught up in the mixer) when it starts so that powdered sugar doesn’t puff up out of the bowl. Alternatively you can cream the butter first and then add in the powdered sugar bit by bit but that method doesn’t usually fit in with my impatient personality. 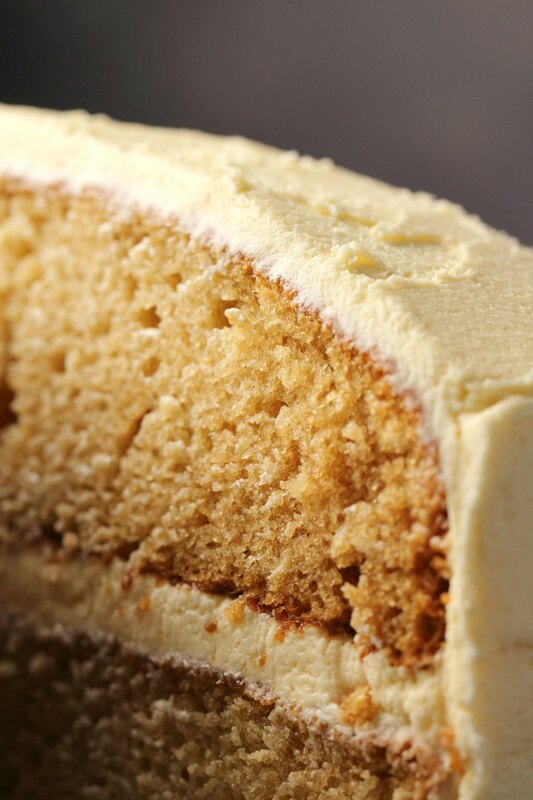 The most important thing to a good vegan buttercream is the texture. It needs to be really silky and spreadable but also firm enough to pipe. So you’re looking for a really thick, but silky, consistency. So the vegan butter that you use becomes quite important for this. The ideal texture for your vegan butter is one that is quite firm. You can use something like Earth Balance buttery sticks if you have access to it, but a vegan butter that comes in a tub is also going to be great, it just needs to be one that is fairly firm. You get some tubs of vegan butter that are really soft straight from the fridge, like they are just never firm. That will be less ideal here. If that’s all you have access to, then you might just need to add about 1/4 to 1/2 cup more powdered sugar to get this to the right consistency. 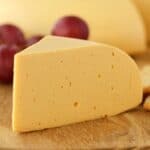 If all you can get is those bricks of margarine (that might be accidentally vegan) that are rock hard, then that will work, but you might need to add a few drops of soy milk or almond milk to it. The difference in textures with vegan butters is all about water content, if it’s really soft, it likely has a higher water content, if it’s very firm, it has a lower water content. This is why it has an impact on your end result. So if following the recipe as written results in something that is not thick enough, add more powdered sugar and don’t be shy. If it results in something much too thick, add in some non-dairy milk a drop at a time. 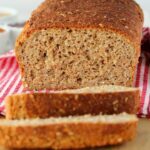 Can I use coconut oil instead of vegan butter? Not in this recipe. 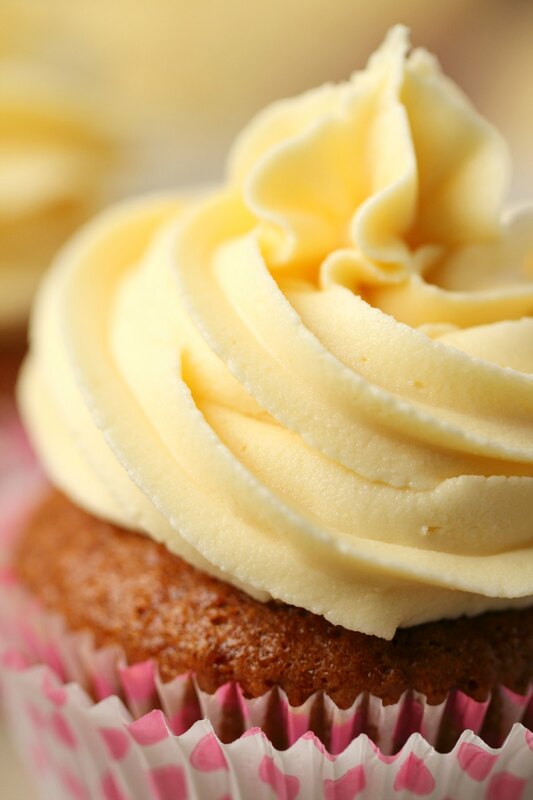 It’s really important that the ‘butter’ part of the buttercream be a vegan butter. What brand of vegan butter do you recommend? I have used a few, I have used and like Nuttelex (Australian brand) and Earth Balance (USA) but since we have a worldwide audience, I don’t generally find it that useful to recommend a particular brand. Use what is available and follow the tips above in getting the right texture irrespective of the brand you use. How long does this keep? This will keep at room temperature for around 3 days. It will keep in the fridge for a couple of weeks though. So if you need to make it in advance of a cake, you can do so. It does firm up in the fridge, so if it gets too firm, then bring it back to room temperature on the countertop before using. 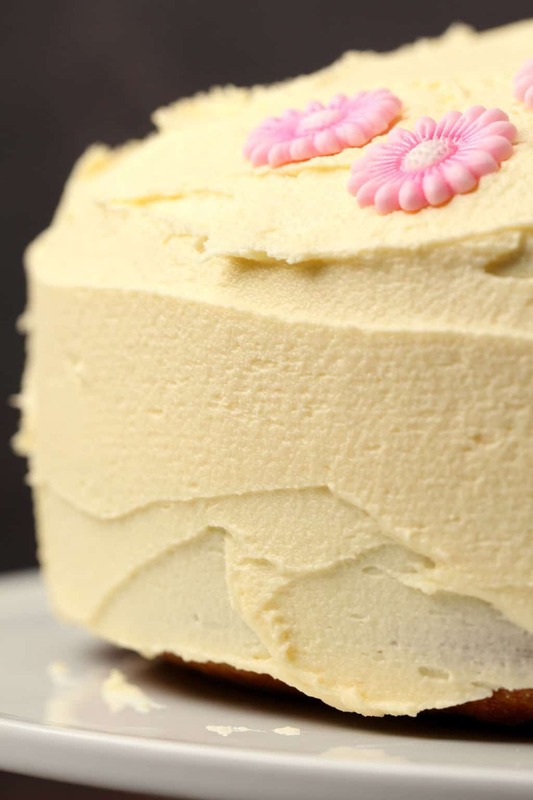 Can I freeze this buttercream? Yes sure! When you’re ready to use it, let it thaw in the fridge overnight. How many cupcakes will I be able to frost with this recipe? It depends! If you’re piping like I did in these pictures, then it will frost 12 cupcakes. 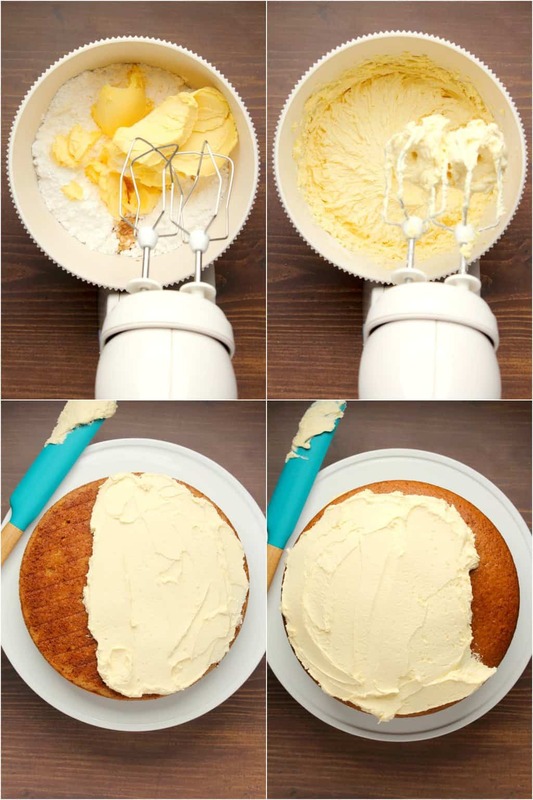 If you’re just doing a spread of frosting on top, then it could be enough for triple that number! And if you’re piping the frosting but doing it much less generously (not going for the ice cream cone look) then maybe you could frost as many as 18-24 cupcakes. 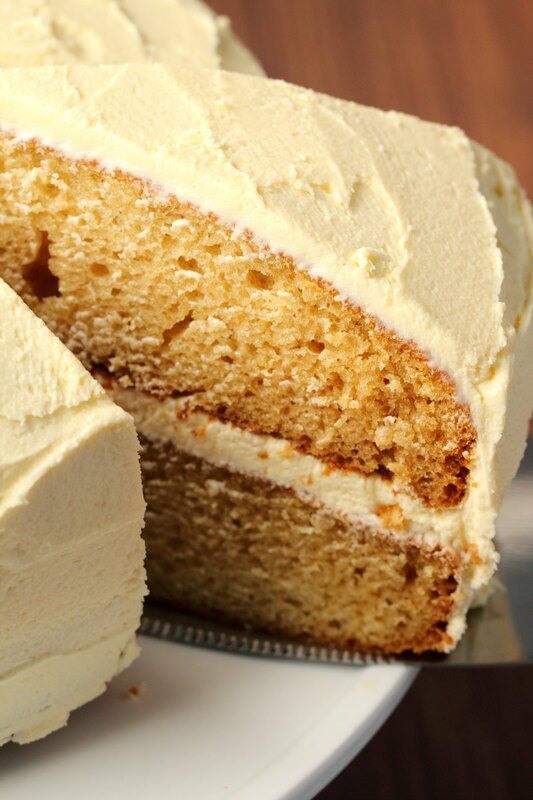 What size cake is this vegan buttercream for? 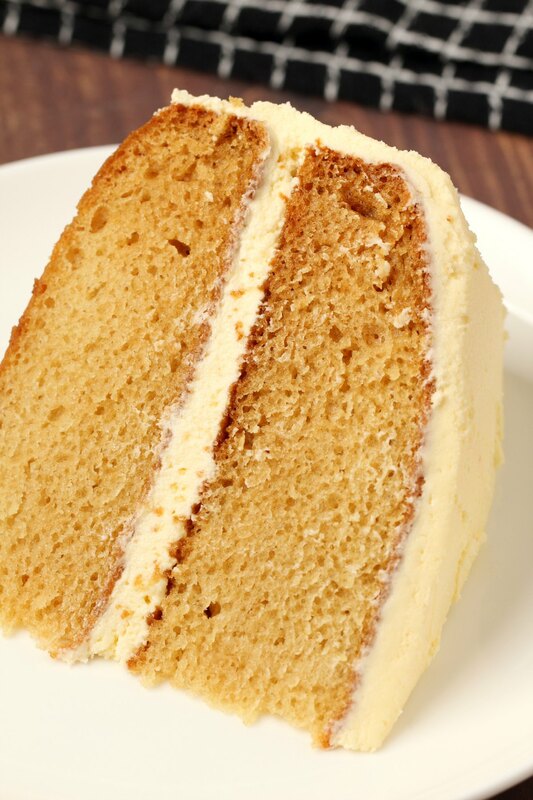 It frosts a 9-inch two layer cake beautifully, as shown in these photos, or an 8-inch two layer cake very generously. Enjoy on cakes or cupcakes or cookies! 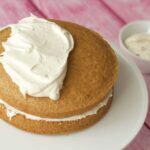 Vegan Vanilla Cake – follow the directions for a 9-inch cake. 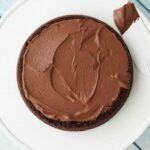 The Best Vegan Chocolate Cake – if you want to make this into a tuxedo cake, use this buttercream instead of the chocolate frosting. 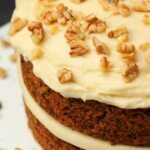 So let us know what you think of this vegan buttercream frosting in the comments and please leave a rating too, thank you! Sign up to our email list and we’ll send you a gorgeous recipe ebook with 10 delicious vegan dinner recipes. You’ll also be the first to know when new recipes are posted to the blog. Hi Alison. I hate you….I am desperate with your recipes !!! What temptations and desires. Everything looks so good, and the ones I tested are diabolically excellent! It’s always a pleasure to receive your recipes even if I do not know where to turn! Thank you for this pleasure of the eyes, this pleasure taste and culinary. Thank you for all these small pleasures. Where did you get the vegan butter at, what store? Hi Patricia, I don’t usually recommend particular brands or stores because we have a worldwide audience, so it would be different for everybody. Amazing!!!!!!!!! very easy to make. 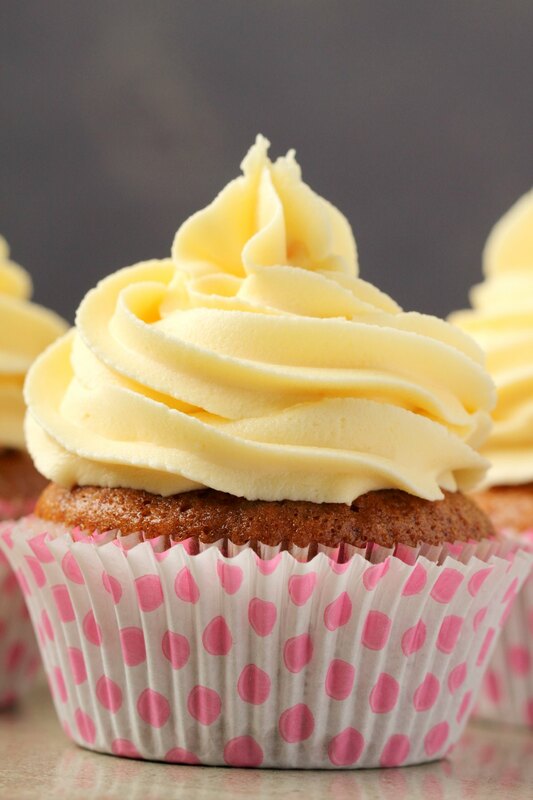 I wanted to make your strawberry cup cakes with a strawberry buttercream icing. 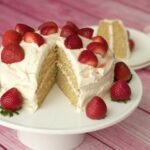 Should I use this recipe for the icing or the icing recipe that’s on the strawberry cupcake post. I was wondering if they are the same or this is an improved version.